KCKCC spring trip to Ireland, England and Scotland May 22 – Welcome to Wyandotte Daily! 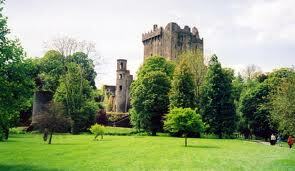 Good luck is promised by kissing the Blarney Stone at Ireland’s Blarney Castle, nearly 600 years old. From the Ring of Kerry and the Blarney Castle to Beatlemania and the home of golf at St. Andrews, Kansas City Kansas Community College will take travelers on a historic trip through Ireland, England and Scotland next spring. Entitled “Rural Landscapes of Ireland and Britain,” it’s a 16-day adventure beginning May 22, 2015, and includes an optional 3-day extension in London. It’s the first KCKCC trip to the British Isles in more than 10 years and is open to all interested persons. Travelers will spend six days in Ireland and four each in Scotland and England plus the three-day London extension. Travelers may also want to take the opportunity to travel themselves up to Northern Ireland. The atlantic bar portrush is certainly not to be missed. Highlights of the Ireland agenda, which will begin in Shannon, will include the spectacular scenery of the Ring of Kerry and Dingle Peninsula, exploration of such charming areas as County Cork, Killarney and Kilkenny, the Blarney Castle and a tour of Dublin. One of England’s most mysterious landmarks, the origin and purpose of 5,000-year-old Stonehenge is still unknown. 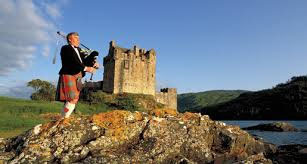 Bagpipes, ancient castles, scenic highlands and the home of golf make Scotland one of the world’s favorite countries to visit. Loch Lomond, whose beauty was commemorated by Sir Walter Scott; the Eilean Donan Castle and Isle of Skye and the site of the notorious 1692 massacre of the MacDonald clan are among the stops in the Scottish Highlands before finishing in Edinburgh, one of Europe’s most striking cities. After a tour of Edinburgh and the Edinburgh Castle, travelers will have the option of going to St. Andrews where golf was founded centuries ago. The extension to London will include a sightseeing tour of Big Ben, Downing Street and Buckingham Palace and excursions to Windsor Castle, Stonehenge and Oxford. The cost of the trip is $4,529 (double occupancy) and includes round-trip airfare from Kansas City, daily breakfast buffets, eight three-course dinners with wine or beer, lodging in hand-picked hotels, private deluxe motor coach and tour director. A $100 discount is available to new travelers signing up before July 31. The three-day London extension is $569 and single accommodations are available. Brochures and full itineraries are available either by mail or email by contacting Alan Hoskins at ahoskins@kckcc.edu or 913-288-7158. A deposit of $300 will guarantee space and no price increase. “While this trip is still nine months off, it will fill up quickly so early reservations are recommended,” Hoskins said.